Freddy Krueger’s new adventure leads the top 10 of this week, A Nightmare on Elm Street managed with no problems to obtain more than $30 millions in the Box Office. Lets remember that Iron Man 2 premiered in Latin America, Europa and Australia on April 29, but will premiere later in USA, on May 7 2010. 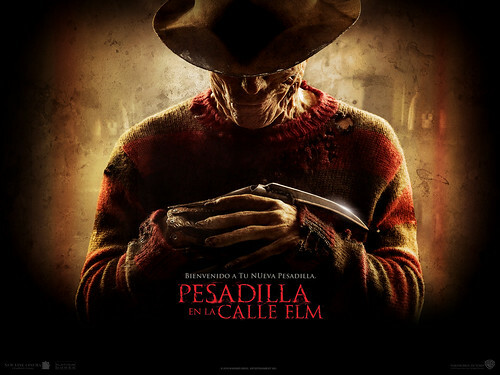 A Nightmare on Elm Street (2010): Jackie Earle Haley, Kellan Lutz, Kyle Gallner, Rooney Mara, Katie Cassidy, Thomas Dekker, Connie Britton, Lia D. Mortensen. Furry Vengeance: Brendan Fraser, Brooke Shields, Ken Jeong (The Hangover).